Wisconsin native Steve Stricker will captain the 2020 Ryder Cup at Whistling Straits. Throughout sports history dual sport stars have been extremely rare. A short list includes legendary performers Jim Thorpe, Jim Brown, Bo Jackson, and Deion Sanders. But a dual tour star? There can be only one name that fits that description – Edgerton, Wisconsin native Steve Stricker – who is finding the fountain of youth on two tours. Steve’s combined 2018 statistics are stunning. On the PGA TOUR he has earned over $500,000 buoyed by three top 20s including one at the U.S. Open. On the PGA TOUR CHAMPIONS he is currently 9th on their money list with over $900,000 in prize money even though he only has 6 starts. Stricker’s 2018 ledger includes two wins, a second, and a third place finish at the tournament he hosts, The American Family Championship in Madison, WI. Statistically, he is near the top in Greens in Regulation, Putts per Hole, Birdies per Round and boasts a sub 70 scoring average. Steve’s success on the senior circuit is so prolific, that players over 50 are hoping he goes back to the PGA Tour full time. When asked if he could leave some crumbs for the other guys, Stricker laughed, “I’d rather not. I’m disappointed that I didn’t win those other couple (tournaments) that I had a chance to (win). It’s been good. I enjoy going out there, but I still love going out on the regular tour and playing, too. It’s kind of a Catch-22 in my mind, where should I go play? But I have fun playing. I go to places where I enjoy playing,” concluded the 14-time combined TOUR winner. Steve will never brag about his golf game or any of his accomplishments, but he does take pride in showing the young guys on TOUR he can hang still with them. “For sure it is. I just played a couple regular TOUR events over the last three weeks, made the cut, got up there around the top 10 a couple times and didn’t quite finish it out. I think some of the guys are still shocked at how I can still play the game, and I still feel like I belong out there. I think it’s more a mindset than anything. I enjoy going out there. I really have nothing to lose. It’s a bonus for me to be out there and try to compete on that level. So I still enjoy going out there,” expressed the 2001 WGC Match Play Champion. When asked if he feels pressure going back and forth between tours, the 50-year-old, two-time PGA Tour comeback player of the year offers up this healthy perspective. “It’s still the same no matter where you go. It’s still about playing good golf, holing putts. But I probably feel a little more pressure on the Champions Tour because I feel like I should win or contend more times than not. Then when I go out on the regular TOUR, the expectations are still there from my standpoint, but like I said I don’t have anything to prove out there anymore but I still want to play well. It’s still disappointing to me when I don’t play the way I’m capable of playing. So there’s still a lot of drive inside and a commitment to play well. But it’s still the same. You’ve got to play well on either tour,” expounded Stricker. But the Stricker story is so much more than playing well week-to-week. Steve is so highly thought of in golf circles that he will be a vice captain for a third time at this year’s Ryder Cup matches in France, Sept 28-30th. His goal and that of the American team is to win on foreign soil for the first time since 1993. “Yeah, it’s a tough chore going overseas and trying to win a Ryder Cup but our guys are on a good streak right now. They won the last Ryder Cup and they dominated in the last Presidents Cup. These young guys are hungry. They want to show, to prove, what they’re capable of doing. I’ve played a couple of rounds over the last two, three weeks with some Ryder Cup players and they’re talking about it already. But again, it’s going to be a tough chore. They’ve got some new guys on that team – Jon Rahm, Tommy Fleetwood, probably – guys that are going to make a huge impact for Team Europe. We’re just going to have to play a little bit better. 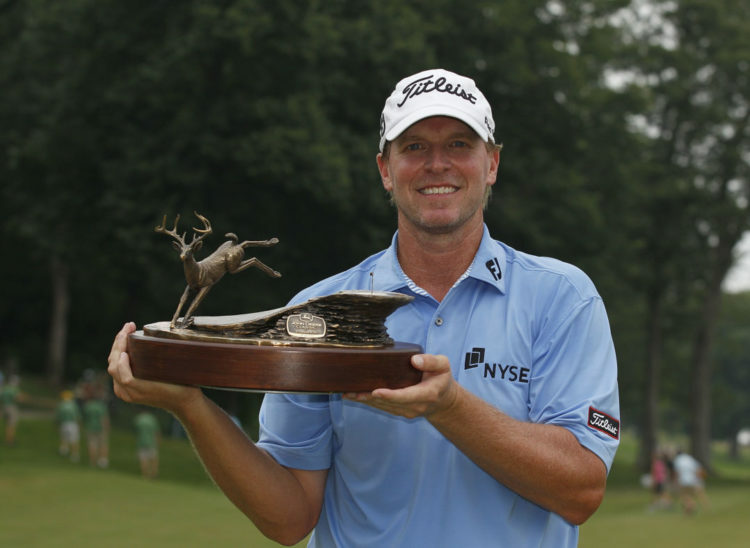 It comes down to, usually, who makes the most putts that week,” offered Stricker. It is a safe assumption that Steve is on a short list of being the American Ryder Cup Captain when the biennial matches come to Whistling Straits in 2020. “If I had that opportunity to captain the Ryder Cup in 2020 it would be a dream. To see the Wisconsin fans come out the way they have for the previous PGA Championships … I can tell you flat-out that they’re going to support that event and be pro-Team USA all the way. Hopefully, to be a part of it, would be very special on my end,” smiled Stricker. What has proven very special is Steve’s six year relationship with American Family Insurance – a Madison, Wisconsin based company that is committed to giving back. A man of Steve’s character understands the logos he wears are a reflection of him, so it was a natural fit to be linked to the 91-year-old insurance provider. “Initially, I was just going to be a brand ambassador for the insurance company. I had this inkling to have a foundation to raise money for charities, for Children’s Hospital. And we just decided it would be best that we join forces on the foundation side. It’s been unbelievable. To use some of their resources, I never would have been able to do it on my own. So they have really helped me. We’ve helped each other, basically, do what we’re doing. It’s a great relationship. They’re a great company. They’re into everything; they give back to a lot of different organizations and groups around our area and around our state and even outside our state. I’m fortunate to be associated with them and be a part of their company,” stated the 2012 Payne Stewart Award Winner, an award presented to a player who shows respect for the traditions of the game. Steve Stricker is a role-model well-suited for all generations. 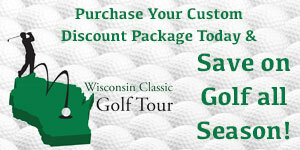 American Family Insurance, the PGA TOUR, and The PGA TOUR Champions are fortunate to have him on their team.